If you have seen any performance from the Royal Winnipeg Ballet, you know the company uses music very intentionally in its works. For its 75th anniversary in 2014, the creation of Going Home Star was unprecedented. The music by Christos Hatzis works best on stage, but for those that wish to keep the imagery and emotions of the ballet alive in their minds, this new soundtrack is compulsory listening. Hatzis’s music, as conveyed by the Winnipeg Symphony Orchestra under the baton of Tad Biernacki, does much more than provide backgrounds for exciting choreography. Understanding the story of residential schools and their effects on generations of indigenous people is one thing, having it artfully and respectfully represented by this calibre of artist is stunning. Symphonic music interlaced with traditional throat singing, Cree singers, spoken word and even some club music raises the stakes significantly and makes this double disc set worthy of repeated exposure and discussion. See the ballet, of course, but if the work affects you in any deeper way, this set will deliver aurally the necessary mental impressions. 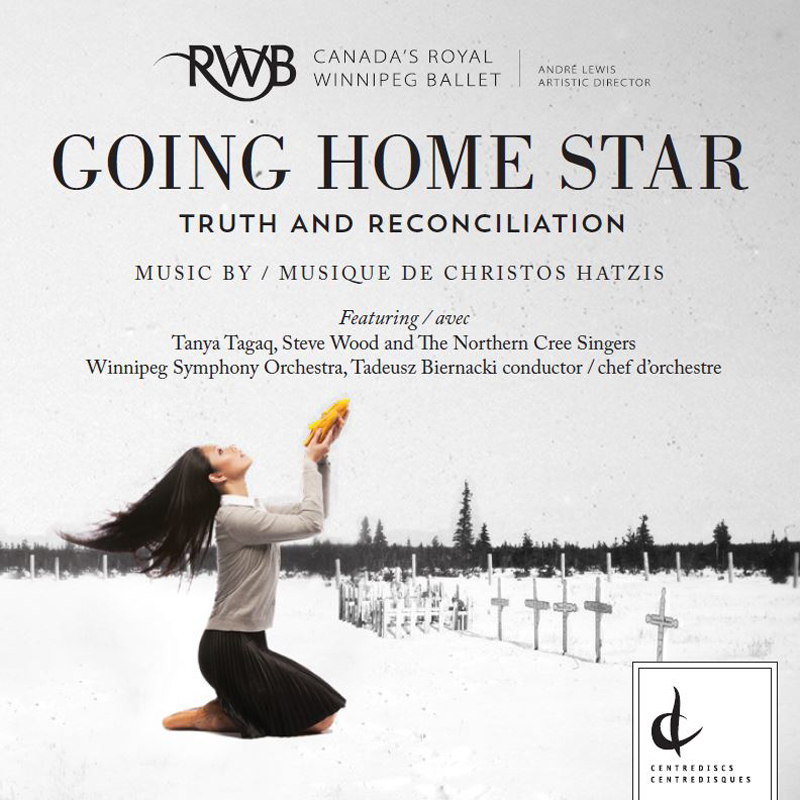 The Royal Winnipeg Ballet began its tour across Canada with Going Home Star tonight, Jan. 28, at the National Arts Centre in Ottawa, moving through Ontario and will be in Manitoba at the Western Manitoba Centennial Centre in Brandon on Mar. 21. The tour continues through Saskatchewan, Alberta and B.C., ending in Vancouver on Apr. 7, 8, and 9. Try to catch a performance if you can.